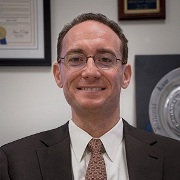 We recently spoke with Robert Costello, associate professor and chairperson of the criminal justice department at Nassau Community College, and adjunct professor of sociology at Hofstra University. In this interview, Professor Costello discusses the popularity and intricacies of the criminal justice field, lending his advice to students who may be considering criminal justice as a career. Why do you believe that studying criminal justice is so important? Criminal justice is the fastest growing major across the United States for many reasons. It is attractive to students since it truly is an interdisciplinary subject, as it entails concepts from sociology, psychology, political science, law, and forensic science to name a few. Students also are concerned about career potential, and criminal justice offers an increasing number of diverse occupations with true career growth, job security, and outstanding employment/retirement benefits. What should potential students know about the difference between criminal justice and criminology as areas of concentration? Criminal justice and criminology are interrelated, and students who study either one will learn about the other as well. I strongly recommend students examine the course offerings and department faculty in order to truly realize what focus a particular program offers. In sum, criminology is applying social science research techniques to examine the effects the criminal justice system has on groups of people based upon race, socioeconomic status, gender, age, and so on. While criminal justice studies also cover these concerns, a student will receive a more practical and operational education about how the system works. As a professor, what is your best advice to students looking to get an extra advantage in the classroom? Students need to utilize active study techniques as opposed to the passive ones such as reading and re-reading notes. One example is to re-write their class notes each day in a second notebook, which does several important things for their academic success. First, it engages the brain, so it increases recall and memory capabilities. Second, it builds a foundation for the upcoming classes so they are able to better grasp future material and lessons, which are built upon the prior ones. What is the biggest mistake you see students making in their education or in the classroom? It is often apparent to me that students have a difficult time keeping their academic and personal lives separate. While in school, students need to prioritize their life so that their education is at the top. Once students devote their considerable talents to their education and minimize or eliminate outside distractions they will excel. Often times, I see very bright students fall short of their potential because of distractions outside of the classroom. What feedback have you gotten from students graduating and moving into the workforce? Students should begin taking all the civil service exams that are offered so they start the career search early. These are the ones who land positions and have a seamless transition from college to work. I know graduates of the criminal justice department at Nassau Community College who work in many different police departments, corrections agencies, and federal law enforcement positions, as well as in other related positions such as social work, counseling, and education. Who do you see as being the best candidate for pursuing continuing education in: a masters or PhD? I am naturally a strong proponent of education and encourage my students to continue their education, which will open more doors as time passes. I think a doctorate is for those who desire a research career, which means a strong aptitude in statistics and writing. Any final words of advice for potential or current criminal justice/ criminology majors? Find a mentor who will work closely with you. This person will assume an important role in your life by providing guidance and support, which will be very helpful in your success both academically and occupationally.